Wedding DJs Wilmington NC and The Outer Banks. Meet Our Award-winning Team! There's much more to rocking a remarkable Wedding DJ than playing cool songs. Learn more about the Coastal DJ difference. 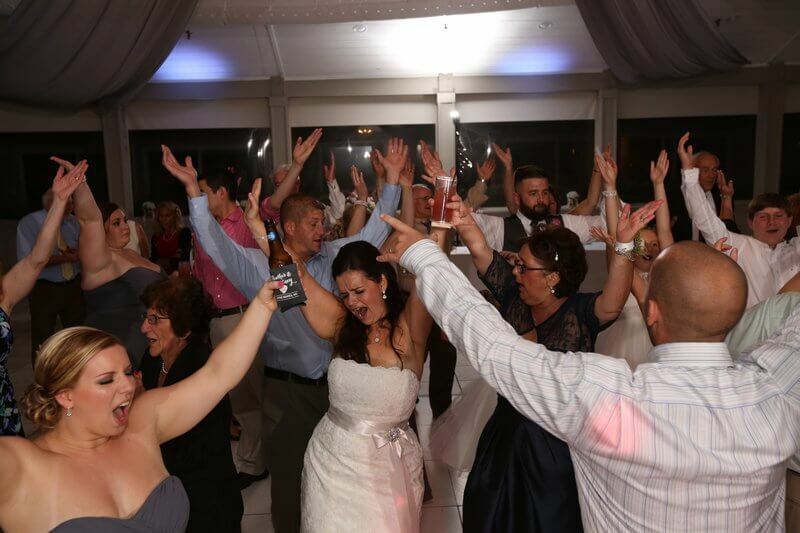 As a professional DJ we will work to make sure that your wedding gets the attention it needs. We make sure that each traditional event and announcement is coordinated properly and on time. We’ll communicate with the other vendors at your event or wedding such as the caterers, photographers, and all else involved to make sure your day flows well. Each of our wedding DJs has years of experience with all types of weddings, from gigantic ceremonies to intimate parties, and are able to quickly adapt to the mood of your party. Plus, all of them are dedicated full time to our craft and take great pride in working for you to make sure detail, communication, and music is taken care of. We compiled the questions we get asked the most into an easy to use FAQ page. Check it out! George did an amazing job! We had a rain storm that delayed our ceremony by 20 minutes but George was accommodating and flexible. He played the best songs for our reception and kept the dance floor full the whole time. We received a lot of compliments on the music. His website was so easy to use and helped a lot with planning. He was there to answer any question we had. He really knows music well and can throw a great party! Copyright © 2018 Coastal DJ & Video. All rights reserved.